Readers say it best: "This book covers all aspects of estate settlement in a complete and thorough manner." , "The book is written in easy-to-understand terms, with lots of good practical advice. ", "I actually bought it to place in my file cabinet along with my Trust documents, Living Will and other documents", "We liked it so much, I bought this book for a friend who was handling a new estate." Acting as the executor, representative, or administrator of an estate is a complicated and time-consuming task, not only in an administrative sense but often in an emotional sense as well. 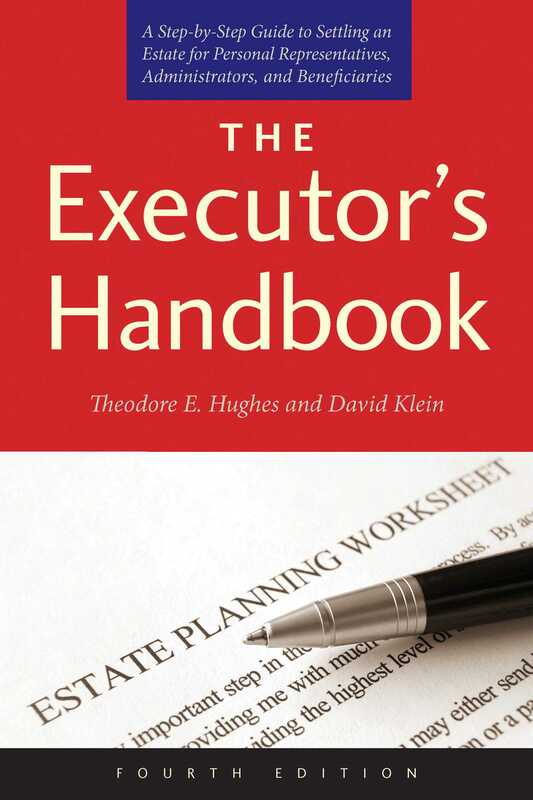 The Executor’s Handbook, Fourth Edition is a comprehensive guide for readers who need help understanding the basics of the procedures that settle an estate. In practical and straightforward language, it covers all aspects of estate administration, including funeral arrangements, organ donation, administering probate, dealing with the deceased's assets and liabilities, and personal representative's compensation. You will understand not only your responsibilities but the responsibilities of those who will be assisting you. Tables of state income tax rates, intestacy laws, and state-by-state probate requirements are also included, and a glossary, index, and list of recommended works complete this handbook.